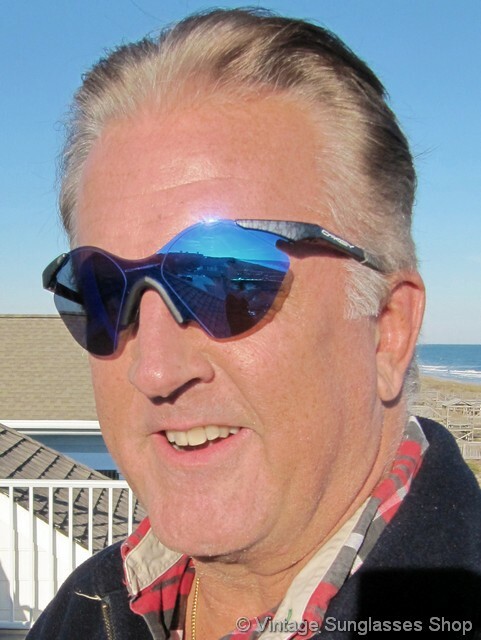 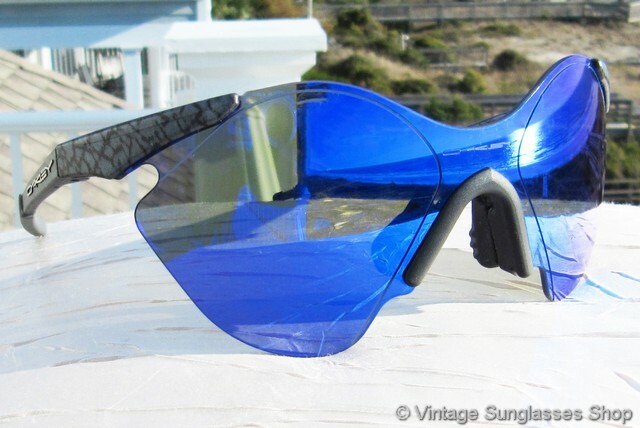 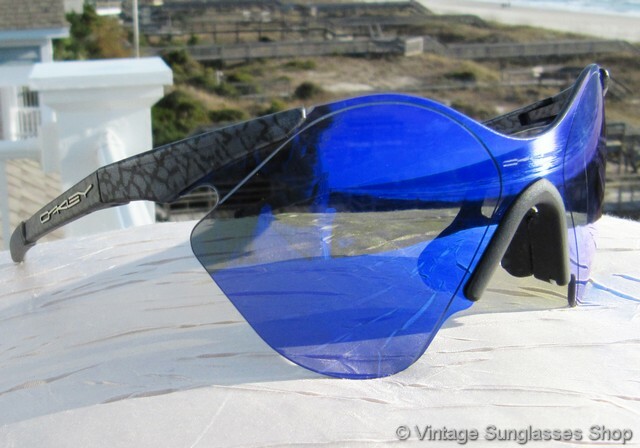 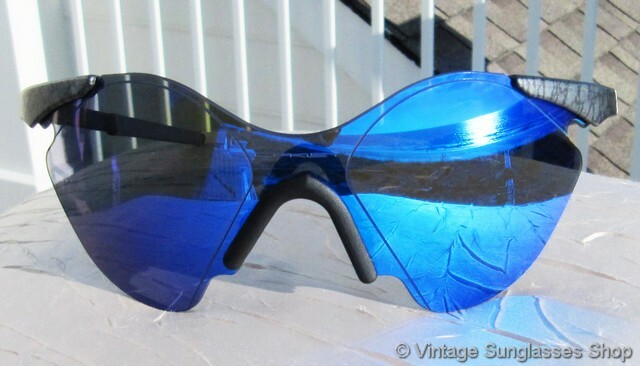 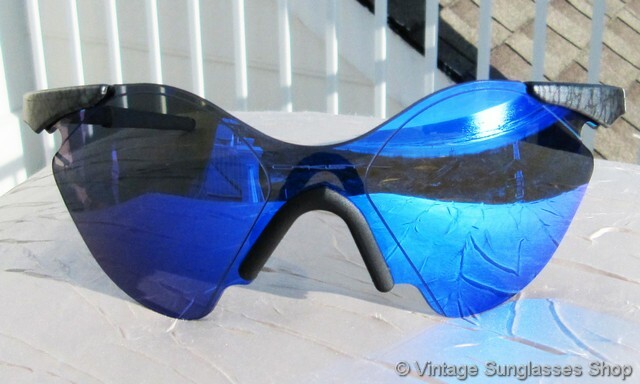 Vintage Oakley Sub Zero Planet X sunglasses c 1992 feature the very rare Planet X frame, a real collector item among both vintage Oakley collectors as well as the broader vintage sunglasses collector community. 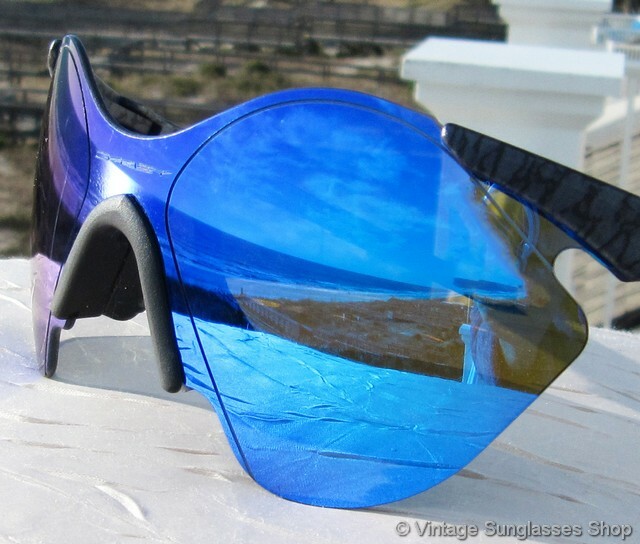 In the early ’90s, Oakley founder Jim Jannard gave his engineers a challenge to design the most lightweight sunglass ever created. 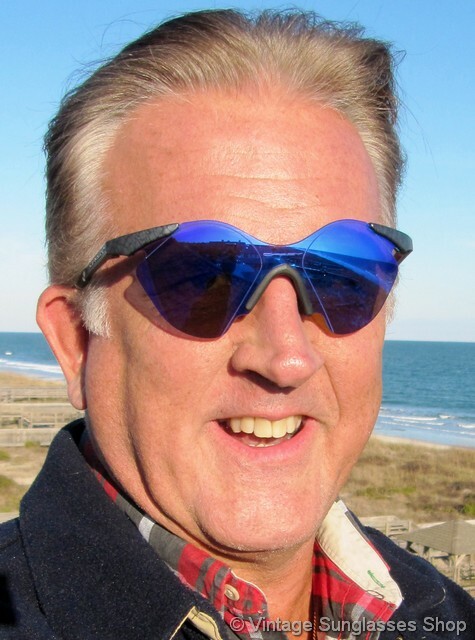 An engineer joked, “How much should it weigh, Zero?” Jannard’s reply: "Less than that." 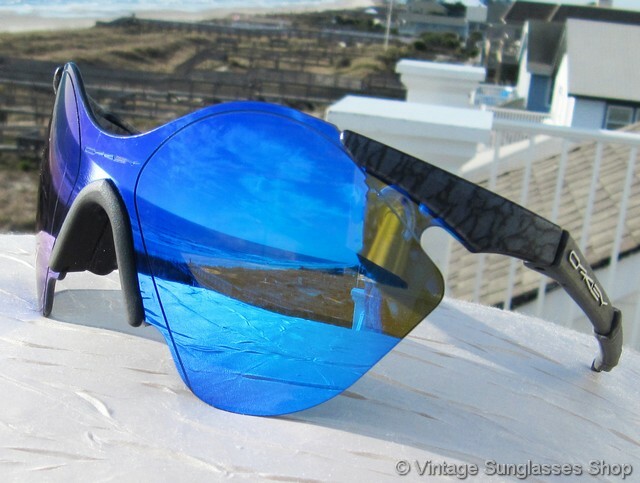 The subsequent invention were Oakley Sub Zero sunglasses, a salute to the impossible challenge, which weigh just 0.69 oz. 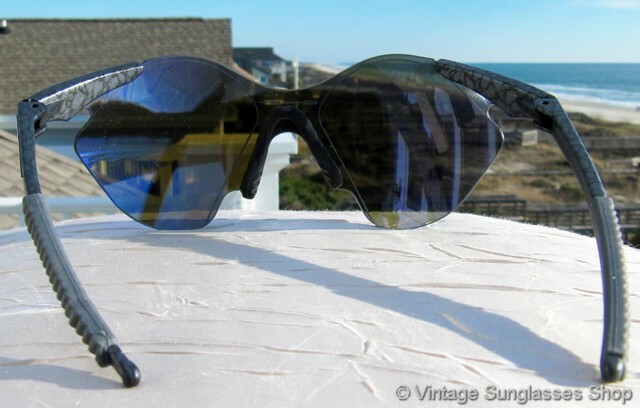 and was lighter than any sunglass on earth with lenses rendered from a single continuous contour of Plutonite. 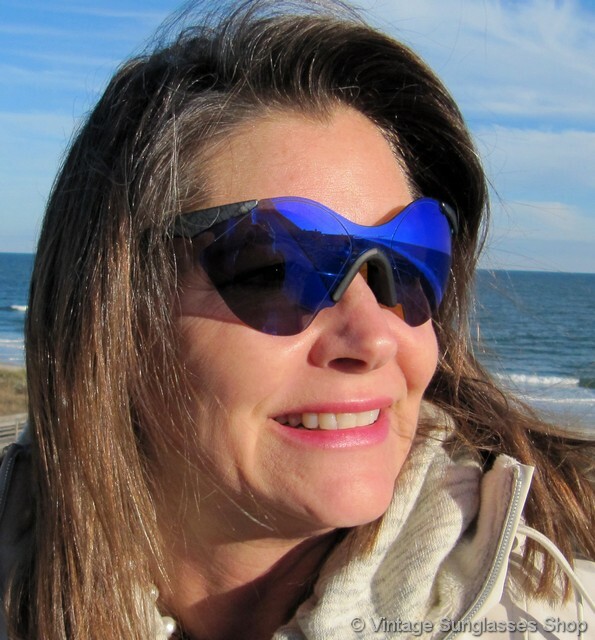 The gray Planet X patterned frame looks great with the highly reflective Ice Blue Iridium lenses, a blue mirror one piece oversized wrap lens formed to contour closely to the entirety of your face. 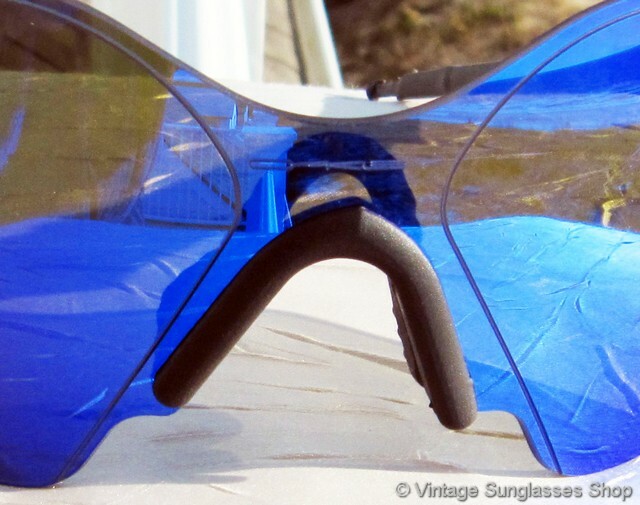 We think the unique shape and look of the Oakley Sub Zero 4 speaks for itselt, a style you won't see in any other brand of sunglasses and guaranteeing you to be the only person wearing these sunglasses no matter the location or occasion. 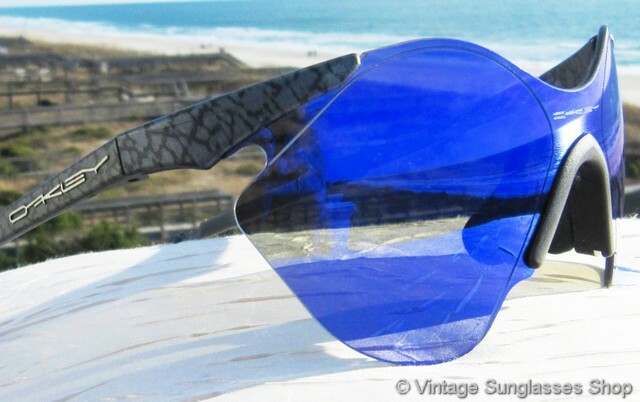 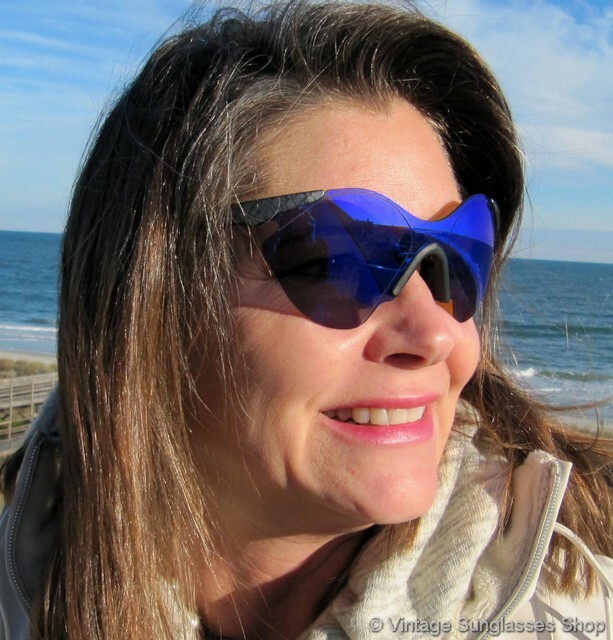 The unisex Oakley Sub Zero frame measures approximately 5.5" temple to temple, and the center nose bridge area of the blue mirror lens is laser etched Oakley. 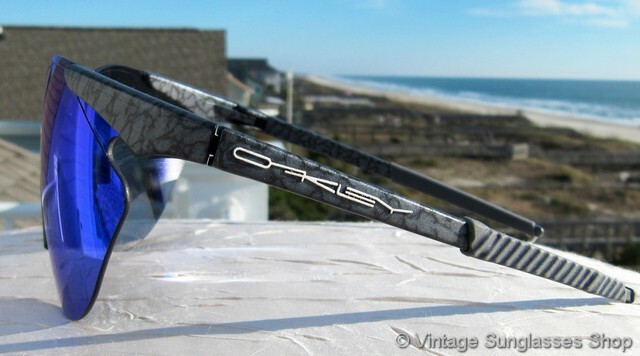 You'll also find the Oakley logo on the exterior of both ear stems, a lightweight, durable, and incredibly stylish icon in the world of high end sports sunglasses.